A green or eco house is a home that is designed to increase energy efficiency and minimize the carbon footprint. Builders use different low-impact materials such as solar panels, turf roofs, and recycled wood. Recycled tires and glass bottles are used for insulation. In general, eco-friendly materials come from renewable sources instead of non-renewable ones. The latter create waste while homes that incorporate new materials consume a significant amount of non-renewable resources. Waste landscapes are created when such homes are demolished, with garbage floating in rivers, seas, and oceans. When building a green house, there are plenty of options, depending on the concept, design, size, space available, and weather conditions (harsh vs. warm climate). The main goal is to incorporate as many energy-efficient products that reduce environmental pollution. Builders use non-harmful, reflective, and recyclable materials to this purpose. Certified woods, for example, come from managed forests and help preserve tropical forests and other habitats. There are alternatives to certified wood such as composites, recycled plastic lumber, salvaged woods, and others. Those who like wooden houses should ask about the origin of timber. It is better to use fast-growing tree species than slow-growing trees. The Caribbean pine, Spanish cedar, big-leaf mahogany, and others are considered endangered species. Some materials release toxic waste, vapor, and compounds into the environment. They pose hazard and increase the risk for health problems, especially in households with small children and people with allergies. Such materials are particleboard, plywood, plastics, and some paints. Opt for formaldehyde-free plywood and particleboard if you are on a tight budget. The choice of design depends on many factors, including location, climate, and budget. There are plenty of options for an eco friendly home such as bamboo, hill, torres, and Swedish homes. Swedish houses, for example, are energy-efficient and incorporate different elements. These include roof lights or roof windows, a flat or pitched roof, floor, walls, doors, and more. You can choose from roofs with integral insulation or insulation that is placed at ceiling level. Eco-friendly building techniques are used for prefabricated timber homes. There are also futuristic structures, butterfly houses, open roof homes, passive and eclectic designs, and many others. Eclectic houses incorporate different materials and feature unique décor pieces, green-framed windows, and other elements. Designers focus on minimalist interior solutions and optimal use of space as well as on simple designs. 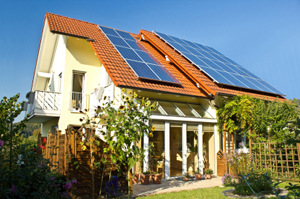 In general, there are two main types of houses – solar-powered and passive homes. While the former use solar panels and other devices for cooking, heating, and electricity, passive homes capture light through the construction, location, structural elements, and the design of the house itself. Sunlight is used instead of traditional sources of heat such as radiators, water heaters, and fireplaces. There are many other design solutions to choose from, including narrow designs, timber-roof homes, and geometric houses with wood interiors and zinc exteriors. The design depends on the space available. If you have a narrow lot, for example, you may opt for a compact cabin or a strangely shaped home. Of course, the design also depends on whether the house will be occupied by a single resident or a family with two or three children. Unusual homes are a good choice for couples and single residents. There are many reasons why this is a great choice for your family. In addition to preserving the environment and minimizing waste, you will save money on electricity and energy for heating. Another advantage is that owners enjoy better air quality. Moreover, eco-friendly houses are durable and incorporate low or maintenance-free elements such as high-end doors, glass works, solatube skylights, water-saving toilets and devices, and rainwater systems. Energy-efficient in-floor heating and ground-source pumps give a modern character to these homes. If you are convinced that this is the right home for you, it is time to choose the location. The best place to build your house is an area that receives maximum sunlight, especially in the morning. An eastside location is the best choice while north-facing homes are the least effective when it comes to capturing sunlight. It is also important to choose an area with good drainage, electricity, water, and heat. Facilities such as a storage area and workplace should be located nearby. A green house can be a great choice depending on the location. The best place for your project is a sustainable community that promotes green lifestyle and enhances the environmental characteristics and quality of life in the area. Sustainable communities are designed and built to minimize the negative impact of phenomena and developments such as globalization, urbanization, climate change, and environmental pollution. Neighborhoods that are built around the concept of sustainable living allow residents to meet their requirements and needs without damaging the environment. Some studies have shown that an energy-efficient house located in a suburb consumes more energy than an urban home. The reason is that suburban homeowners often commute to the store, mall, work, and school and spend more money on gas. This cancels out the benefits to some extent. The materials used are as important as the location of the home. It is best to choose a neighborhood that is close to a subway station or other forms of public transportation. If the house is located in a suburban area, then the homeowner may want to buy a fuel-efficient or electric vehicle to reduce the carbon footprint. In fact, transportation and energy use at home account for 60 to 70 percent of all gas emissions. 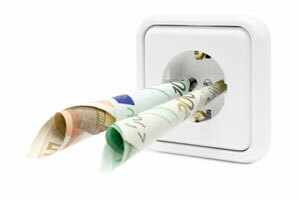 Combining different methods for efficient energy use is the best approach. For example, you may build a house in an area with a well-developed transportation network. To reduce energy use even further, you can opt for a house that shares walls with another building. Semi-detached homes save energy because shared walls help minimize heat loss. Depending on the location and orientation, your house may actually operate off the grid. Consider incorporating elements such as a green roof, thermal glass, concrete walls, and clean-burning fireplaces. You may want to install photovoltaics to power your home devices. The first thing to do is to choose a design, type of windows and doors, lighting, and other elements. There are different types of lighting that offer good light levels. You can choose from high bay fixtures, strip lights, and other solutions. Wall lights, bay lights, mount light fixtures, and metal lamps are also used. There are other ways to make your home green. You can install low-flow fixtures, programmable thermostats, and energy-efficient devices. Low-flow fixtures, for example, help cut your energy bill and use less water. You can install toilets, showerheads, and faucets that conserve water. Another option is to buy a tankless water heater. Conventional heaters heat and re-heat water multiple times and add to your energy bill. The tankless heater will only heat the amount of water needed. The major downside is that it is expensive. Cool roofing is an important structural element that reflects sunlight and reduces the amount of heat that is absorbed into the building. Cool roofs are available in a wide variety of designs, colors, and materials that reduce the surface temperature. They minimize roofing waste (debris, leaves, etc.) and reduce air and environmental pollution. Cool roofs have a long useful life and are easy to maintain. As a rule, light-colored roofs are a better choice than dark-colored ones because they are more efficient in reflecting sunlight. Experts recommend roofs with high emissivity because they reflect infrared light and solar radiation. There are also roofing systems with aluminum, tinted, and white coatings. The main downside of cool roofs is the fact that they reflect sunlight during the winter. This increases the need for energy generated by radiators, fireplaces, and other heaters. Thus, they are a smart solution for warm climates. The main benefits are that cool roofs minimize carbon emissions and reduce your energy bill and use by 15 percent (speaking of air-conditioning energy). They may help slow down global warming because they cool air and the atmosphere. There are different heating options depending on the type of structure. You can choose from heating systems that use wood, oil, gas, electricity, or alternative fuel sources. Another option is to install solar heaters that capture sunlight and raise temperatures inside the building. The heating system of choice depends on the exposed area, insulation materials, night and day temperatures, and other factors. Bottom and central heating systems are also used, including in- and on-floor. Whatever the type of heating system, it should be serviced on a regular basis. You should check the belts, controls, and valves, clean the nozzles, and change the filters. Remove soot and lubricate the bearings as well. An eco-house is a home that is equipped with energy-efficient household devices and equipment. Once you have built your house, it is time to think of devices such as solar heaters and cookers and other innovative and smart technologies. Devices and exterior and interior solutions such as moss carpets, green lamps, and hand-powered shredders are handy and eco-friendly. A greenhouse has a low carbon footprint and helps reduce environmental pollution. You can choose from different types of structures, including free-standing, window-mounted, even-span, and lean-to greenhouses. The choice depends on the type of plants to grow, the area available, and other factors.